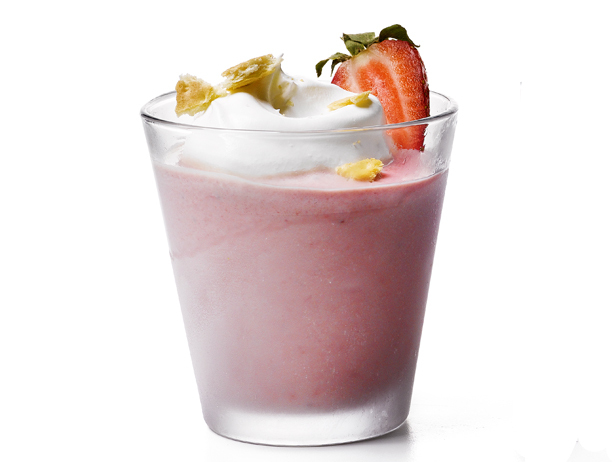 1.Mix all ingredients except the whipped cream in a blender on high for 30-45 seconds. 2.Pour into a glass and top with Fat Free Reddi-Wip. It is springtime, strawberry climate is upon us, and the climatic conditions is sunny and stunning. I had a great run this early morning outside and came in and took a look at the freezing strawberries in the freezer and knew I needed to use them. I needed something blended and fairly sweet and creamy to quench my thirst. This did the trick. Strawberry seeds in my teeth and all. It’s not a revolutionary “recipe”, but it really in no doubt is good. It merely takes one minute to make, and even less to drink. A blessing and a curse.